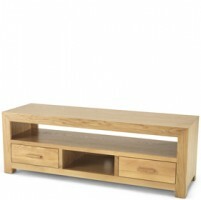 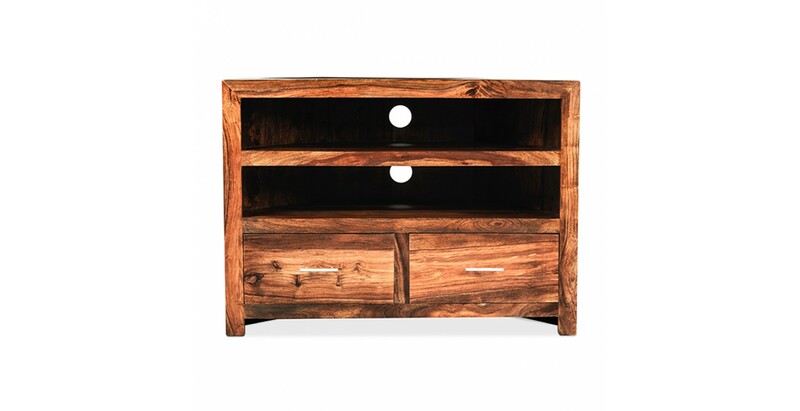 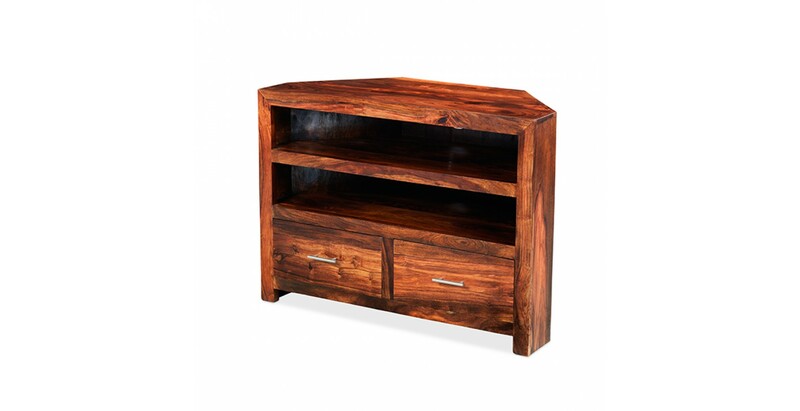 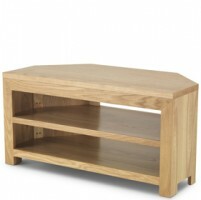 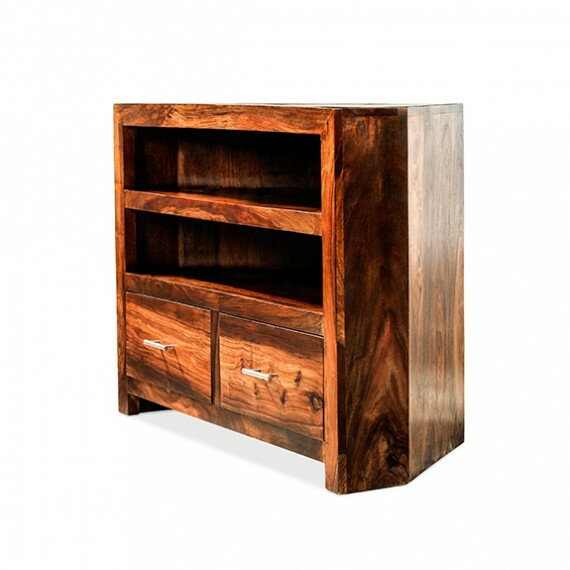 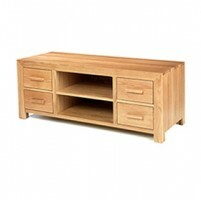 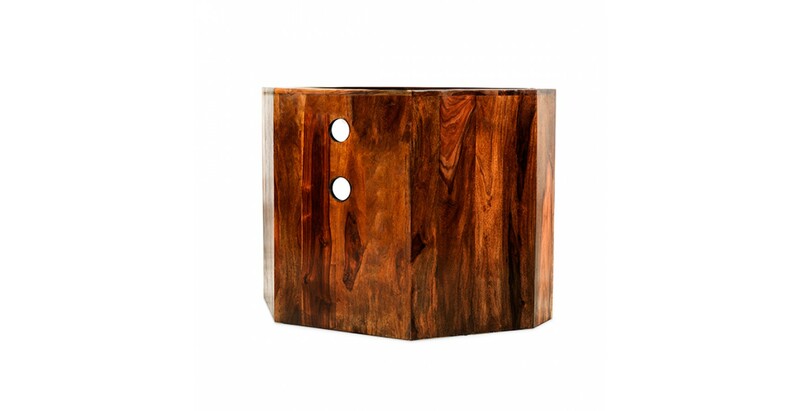 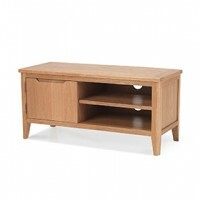 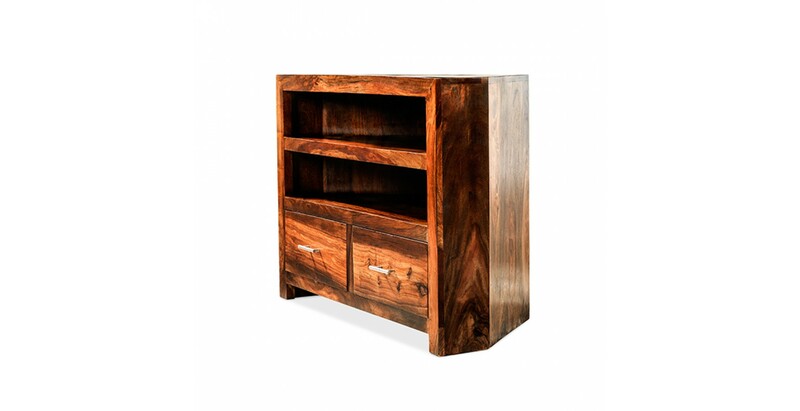 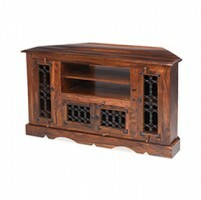 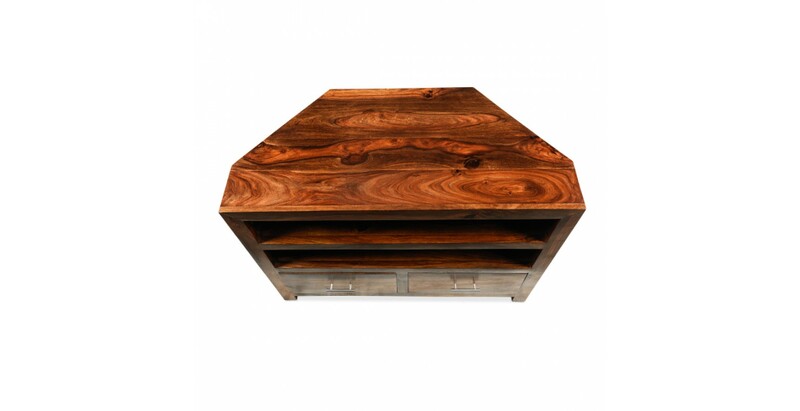 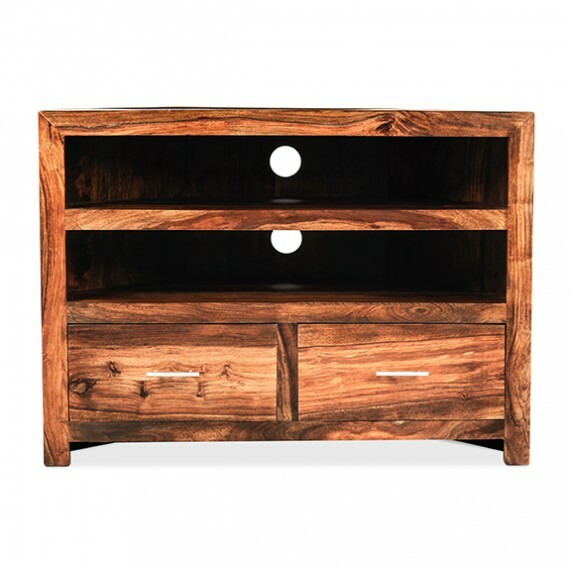 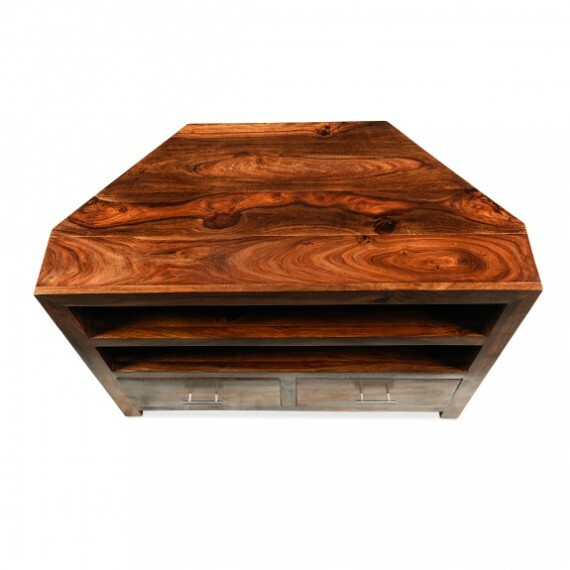 Ideal in a smaller room or a room where you don't want the TV to be too dominant, this handcrafted cabinet will fit neatly into a corner to maximise floor space without compromising on storage or display space. 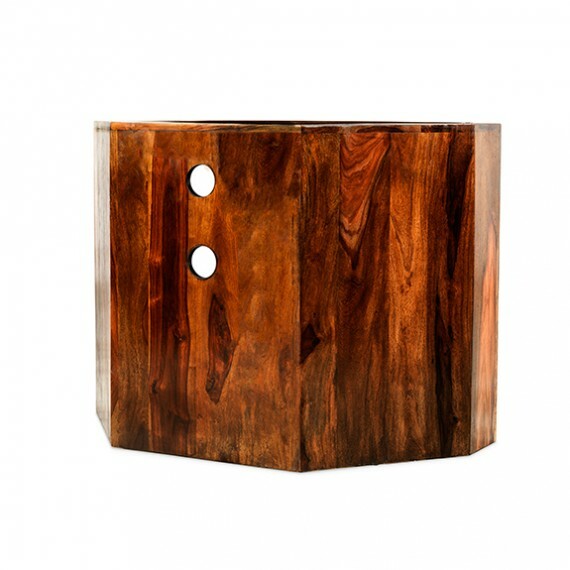 Finished with a natural wax lacquer that shows off the characterful grain patterns, its clean, modern design will work in a range of decors. 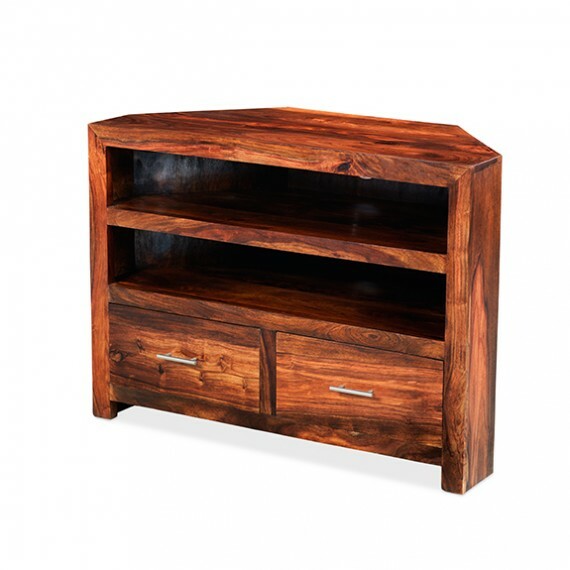 As well as the expansive surface where your TV will live, it has two shelves for all your media devices and two roomy drawers with brushed metal handles for storing all the associated bits and pieces.